RiskyProject performs earned value analysis based on baseline project schedule and project schedule with risks and uncertainties (results of analysis). RiskyProject allows you to specify or calculate actual cost for each task. 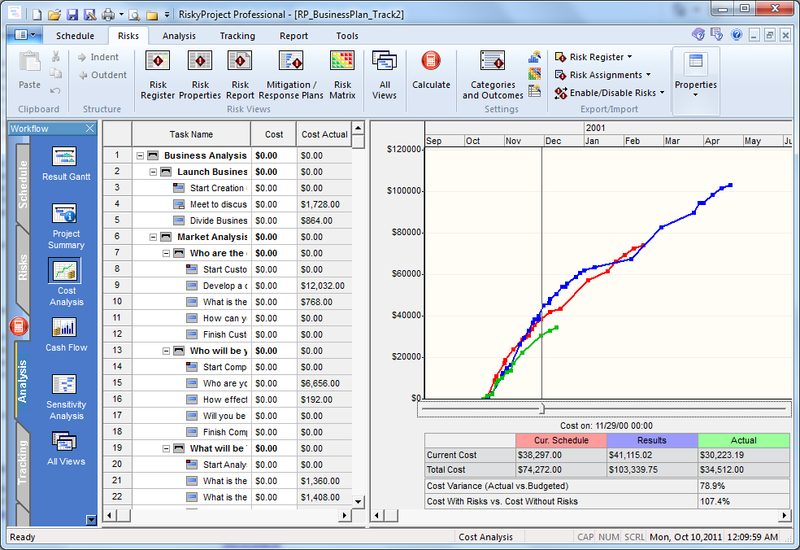 Actual cost, budgeted cost, and cost as a result of analysis (with risks and uncertainties) are displayed using interactive cash flow diagrams. You can determine difference between actual and budgeted cost on the each stage of the project.